Since 1884, for over 130 years, Beneteau, the world’s largest boat manufacturer, has been building the most sought-after boats in the world. 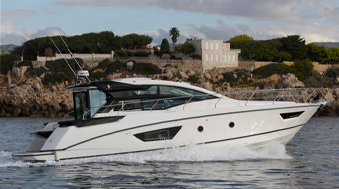 The majority ownership of the company is still in the Beneteau family. Thirty years ago, Beneteau decided to officially bring yachts to the American market and opened a production facility in Marion, South Carolina. Since then, their team of skilled American craftsmen and women have been building Beneteau yachts conceived by the finest naval architects and engineers.